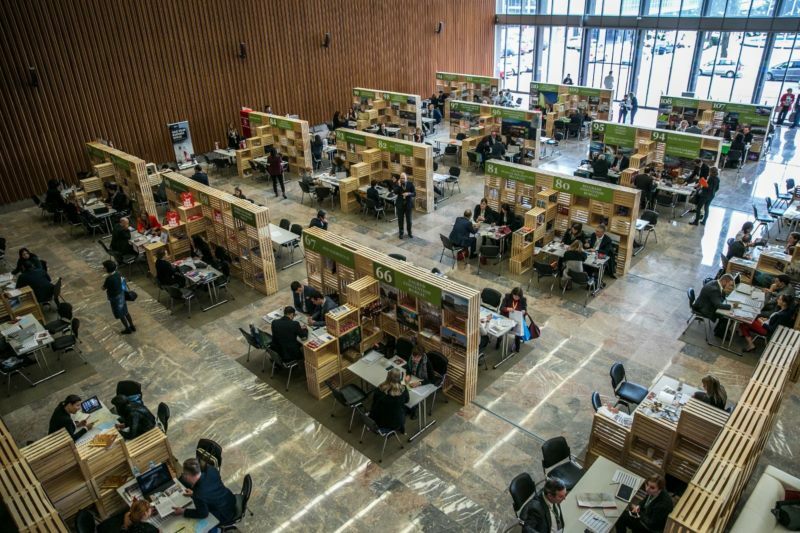 The specialised congress and incentive offer fair ˝Conventa˝, was held from 18-19 January 2017 in Ljubljana, Slovenia. The trade fair featured 145 exhibitors and more than 300 organizers of business travel, of which 178 were foreign organizers from the European and American markets, and the rest were organizers of business travel from the region. The award ceremony for the best conference destinations, according to a survey by the professional congress magazine Kongres, was held on Wednesday, 18 January 2017 in the Cankarjev dom venue in Ljubljana. Dubrovnik was declared the winner in the Top 10 Regional Convention Centres category, and overall, the best congress destinations, in order, were Prague, Istanbul and Budapest, while Dubrovnik, although a much smaller destination than its competitors, placed in the respectable fourth place. Gorazd Čad, the Director of Marketing and the Founder of the specialized ˝Conventa˝ fair, said that this year the ˝Conventa˝ congress and incentive fair in Ljubljana gathered a record number of exhibitors and organizers of business travel and it is estimated that over 4,000 business meetings were held at the fair. Mr. Čad is certain that the ˝Conventa˝ fair will greatly affect on the upcoming conference season. Congress mystery shoppers used various criteria, from natural factors, transport infrastructure, as well as tourist infrastructure, and conference facilities for assessing the destinations. The subjective assessment of the destinations, as well as the marketing score of the destinations was also important. An important factor in the evaluation of the destinations was the quality of life index, as well as the global peace index, which increasingly affects the overall assessment. Dubrovnik has once again proven that it is a successful world tourist destination ranking near the top of the list of the best in the congress industry in Europe, and well as the best in the region.